A panel of federal judges denied on Thursday the first request by plaintiffs’ lawyers to consolidate all of the Lipitor diabetes cases into a class action for discovery purposes (called an “MDL”). My prediction is that a Lipitor class will eventually be created. I also think that the judges who rejected the motion to centralize these cases might also agree with this assessment as I explain below. 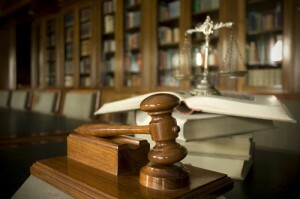 Why Does Plaintiffs’ Counsel in the Lipitor Cases Want a Class Action? First, having all of the cases consolidated together saves everyone money, both for plaintiffs’ attorneys and for Pfiser because it less costly to do all of the discovery at one time instead of reinventing the wheel in every single case. This is particularly true in these cases because of the relative size of these cases. Get ready for some real honesty here: the settlement value of these Lipitor cases, on their best day, is not going to be in the millions. Why? First, the damages for getting diabetes, as awful as it is, is not going to equate to a million dollar settlement. Sure, you could get a seven figure verdict on a great day but you are not going to get a settlement in that range. Let’s be clear: I’m not saying this is not what plaintiffs deserve. Who would take $200,000 to get diabetes? But I’m trying to give real world assessment. So why are you seeing ambulance chaser type ads everywhere looking for these Lipitor diabetes cases? Because approximately 500 zillion people are on satins in 2013 and Lipitor has been the king of the class. So there are going to be thousands and thousands of potential claims. They do have real settlement and trial value, don’t get me wrong. But the reality is I don’t think anyone is going to get a financial recovery in these cases that is going to “balance the scales of justice” of having Type 2 diabetes. Could I be wrong about this? Of course. But I would bet a lot of money that I’m right. Plaintiffs’ lawyers like me benefit from a MDL because the media will run stories about the lawsuits, creating awareness among potential clients. Right now, I don’t think most people who got diabetes while taking atorvastatin calcium (which is the fancy name the drug) consider it to be a potential cause of their condition. No one can deny that attorneys want more cases and that the sheer volume of cases helps induce settlement because it increases the company’s exposure. Why Did The Court Reject the MDL? The MDL panel of judges refused to create a consolidate class now for two reason. First, there are not yet enough Lipitor diabetes suits pending yet. Wait, didn’t I just say that there were going to be thousands of these cases. There are. But most law firms with a large number of cases right now are sitting on them waiting to see how things develop. So the court said that while there have been a lot of cases expected to be filed, that is not enough of a reason to consolidate these cases. The South Carolina actions already are proceeding in a coordinated fashion before one judge, and, importantly, Pfizer represents in its brief that it is ‘ready and willing to work with Plaintiffs’ counsel in the [non-South Carolina] actions to appropriately coordinate any common discovery or other pretrial matters across the cases. Given that express representation, the limited number of involved actions, and the overlap among counsel, we do not believe that creation of an MDL is necessary at this time. In other words, most of the benefits of an MDL are already being enjoyed by the parties. But this is going to change quickly as these cases quickly proliferate. So again, while Pfizer has one this battle, I really believe it has little hope of winning the war. If you have diabetes and think Lipitor might be the cause, you need to know what your legal options are. Call 800-553-8082 or get a free online consultation.